During the upcoming World Championship in Standard Dances that will take place in the Kremlin on October 27, 2018, the participants will give it all to win in the competition. 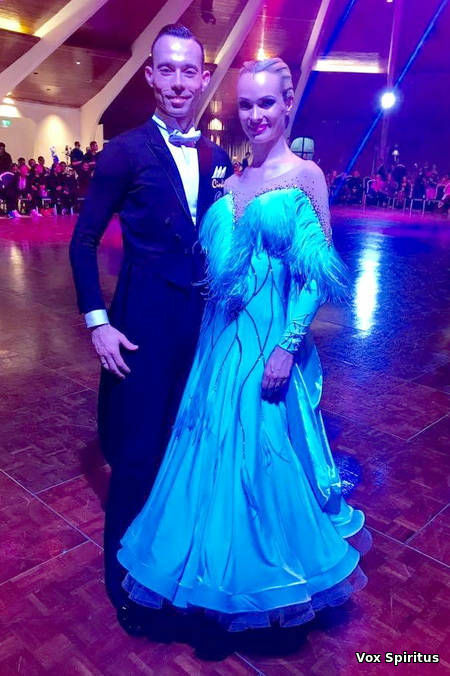 The best couples from all over the world will try to compete with the nine-time champions Arunas Bizokas and Katusha Demidova, who are going to Moscow in order to set a new world record. Mikhail Eremeev and Olesya Eremeeva from Singapore are among those, who will fight for the gold. Right before the beginning the prestigious competition they talked with API TV DANCE sharing the story of their lives and their ambitions in the world of sport. 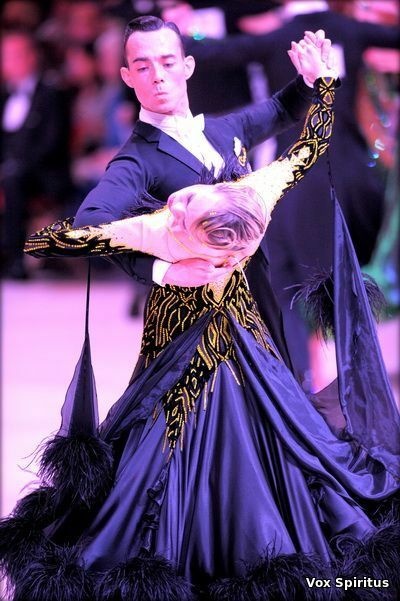 - What do you expect from the upcoming World Ballroom Championship in Kremlin? - The World Championship is an international event of the highest level. We are expecting an incredible environment, beautiful music, the best referees from all over the world, and, of course, a wave of new emotions and positive drive! - How can you describe your chances to reach the finals? - The reach final competition is the dream of our life. We were watching the World Championship in Kremlin since we were seven years old, and we were amazed and attracted with the incredible beauty of that place and the highest level of competition. The Kremlin Palace is a really astonishing place to hose the World Ballroom Championship in. It can be incredibly difficult to reach the finals, but we are going to prepare like champions, and create the mood of real champions for the event. - How would you describe the level of competition during the upcoming Championship? - The level of competition is going to be really high! The best couple from all over the world will participate in the event. We need to pay special attention to participants from the USA, the UK, Italy, Germany, and Russia. 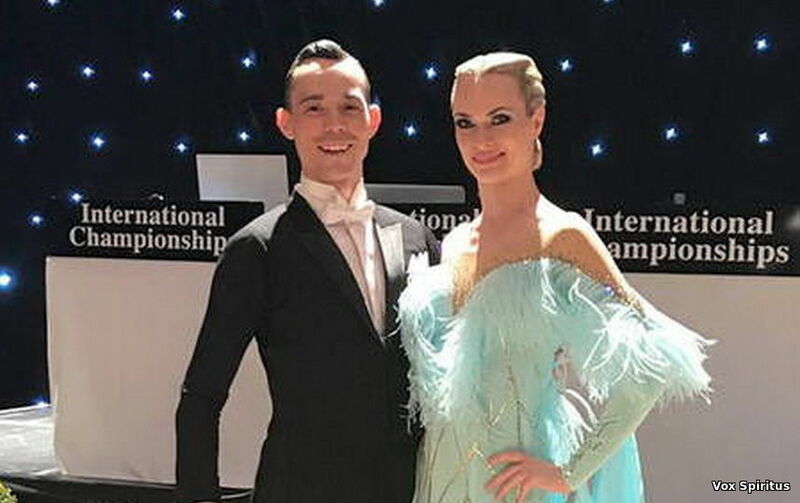 Nine-time champions Arunas Bizokas and Katusha Demidova from the USA will try to get their tenth award in a row. We are eagerly waiting for the competition because such events allow enforcing the soul of a real champion, reaching new career heights and getting an unforgettable experience. - What is your main goal and task during the preparation for the competition? 1. Volume (this is a key and unique feature of our couple) – this is a combination of personal growth of both of us that allows implementing voluminous and aesthetical lines, which can be improved and enforced. 2. Feet – we have to enforce our feet and legs in order to keep the required volume and balance. 3. Driving force – we have to improve the motion by creating additional pressure, tension, rotation, and other important actions. The most important fact is that all the mentioned elements are twisted with our strong family relations, which last for 12 years, thus improving the level of mutual understanding, which is the key asset in any field of work. - Could you tell us about the brightest competitions in your career? - First of all, it’s the first festival in Blackpool. We witnessed the best couples from all over the world, an orchestra, an astonishing historical hall, and an incredible atmosphere. Secondly, it’s the Championship in Kremlin with the traditional Russian orchestra, an astonishing light show, and the unique charisma and management talent of Stanislav Popov and his professional team. They are able to implement even the most unique and unusual ideas of the participants. Thirdly, it’s the World Grand Prix in Taipei. We had to dance in the finals with the support of 10,000 fans, who followed each and every movement and gesture. Furthermore, it was streamed in live mode, and people in Asia started to recognize us more often. Those are truly unforgettable impressions and memories! - Tell us about your career in the world of sports. - I started to dance when I was 7 and Olesya when she was 5 years old. We decided to choose 10 European and Latin dances. We started dancing as a couple 14 years ago in the year 2004. The ballroom dance twisted our lives, and in 2006 my wife gave birth to our son. We had to make a break for a while, but we returned to the world of dances and decided to develop in the Ballroom direction. We had as great moments in our career, as well as dark times. 9 years ago we decided to move to Singapore because we loved the country, local systems and people, becoming an integral part of it. Currently, we are the best professional dancing couple in the country, and we proudly represent Singapore in the international competitions. The fact that we are the family makes our relations even stronger, allowing us to use unique techniques of expression, and making our dancing exquisite and unbeatable. - What are the most important sporting achievements of your couple? 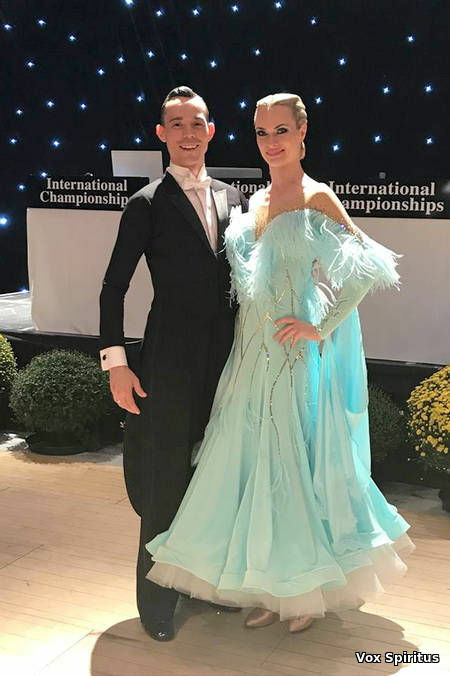 - Talking from the sportive point of view, we were able to reach the semi-finals during the International (UK) as aspiring dancers in the professional category. We also reached the finals of World Grand Prix in Taipei and won the title of the Singapore Champions and the title of the Second Champion title in Asia (Malaysia). Furthermore, we are constantly developing the world of dancing sports and the charity activities in Singapore. In particular, we founded Galaxy Dance Studio in 2009 in order to raise new champions from the kids of 5-16 years old. We are the members of the People`s Association and participate in the organization of “We Care” project in order to use the ballroom dance to unite the real fans of this dance, making them feel important and needed, and developing this sport in the country.